Macklemore is the most successful independent artist to blow up in recent memory, in any genre – so much so that he more so orbits the rap game as opposed to being completely immersed in it. 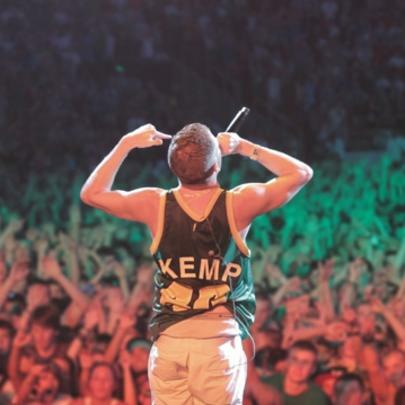 After putting in well over a decade of work, things finally took off for him in 2013 after he and Ryan Lewis’ “Thrift Shop” single/visual became a viral hit, quickly reaching the #1 spot on Billboard’s Hot 100 chart without major label support. Throughout his 13-year career, the Seattle native has collaborated with Scientific Shaman, Illmaculate, Buffalo Madonna, Ziggy Stardust, Wanz, Fences, Suntonio Bandanaz, Abyssinian Creole, Evan Roman, Grynch, C-Nik, Notion, Neema, CunninLynguists, Grieves, Geologic, Blue Scholars, Debaser, Ray Dalton, Mary Lambert, Hollis, Clinton Sparks, 2 Chainz, D.A., Ab-Soul, Schoolboy Q and more. Most recently, he and Lewis’ latest album The Heist went platinum, and they announced a hiatus from the spotlight as well as plans to work on new music for 2014. They’re also nominated for seven awards at the 56th Annual GRAMMYs. Stay tuned. Macklemore is of Irish descent. Early in his career, he facilitated music workshops at youth detention centres as part of the Gateways For Incarcerated Youth program in Seattle. He was first introduced to hip-hop at age 6 via Digital Underground. 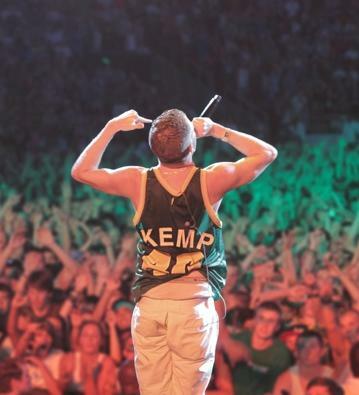 He started seriously pursuing a career in rap at age fourteen. Macklemore has a bachelor's degree from Evergreen State College. Machine Gun Kelly: "Race Is An Issue For People Like Macklemore"